Lemko Corporation, the leader in Virtualized Core Network OS for Super Mobility, launches its 100% virtualized, no core, M2M Quick-Deploy-Platform. With Lemko’s M2M platform connectivity is easier and more secure. Lemko’s M2M Quick-Deploy-Platform LTE Mini ships pre-tested and pre-configured with an integrated eNodeB radio and distributed and virtualized EPS software. This fit for purpose M2M design supports and enables a wide assortment of LTE M2M applications with shortened M2M application testing and deployment timelines. It also supports multiple communication scenarios across various industrial to carrier grade M2M terminals, microchips, modems, sensors and gateways for various broadband connectivity services. 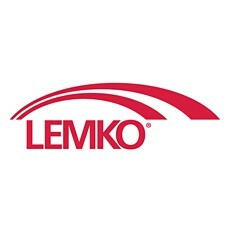 “Lemko also accelerates testing and deployment with On-Demand ability to activate/deactivate mobility for terminals and assign a specific HLR to M2M for IP Packet Use Cases without dedicated connections using Internet transport only,” says Michael Sisto , Vice President Sales, Lemko. The M2M Quick-Deploy-Platform provides up to 10 watts of power and 20 MHz bandwidth in the LTE spectrum for extended coverage and M2M data speeds, yet is compact enough to be deployed in the Lab and then carried into the Field quickly.